An educationist, an administrator, a mentor, a friend. In his more than four decades of service in the field of education, Prof Mohan Lal Bhan has worked in various roles, but his most cherished one has been that of a teacher. The chemistry that he shares with his students has often instilled confidence in them to pursue their dreams. Having interacted with students at both college and school level, he can feel their pulse like no other. He strongly believes that value education should be an integral part of our education system. 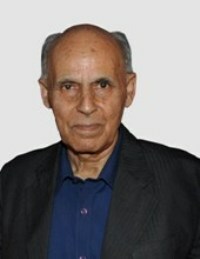 Prof Bhan headed the Chemistry department in Gandhi Memorial College, Srinagar , Kashmir University, before retiring as the Principal of the college. He has also served as secretary of managing committees of several schools run by the Hindu Educational Society, Kashmir.